Puff & Cockerill has been devoted to estate planning for over 35 years and our team of attorneys provides clients with over 100 years of legal experience and expertise. Each client receives undivided and personalized counseling aimed at tailoring the our planning tools and devices to most efficiently and cost effectively suit their goals and objectives. While a common belief is that “estate planning” merely involves drafting a will, the reality is that the process is far more dynamic. “Estate planning” is a blanket term for establishing and structuring a set of directions that puts you or your loved ones in charge of your finances and medical needs, according to your terms and desires. The determinative word throughout estate planning is “planning.” A properly planned estate can spare your loved ones the expense, delay, and frustration associated with managing your affairs when you pass away or become disabled. “Estate” simply means “all of your assets,” regardless of the size of your accumulated wealth. Along the spectrum of estate size, from the simplest to the most complex, having a plan is advantageous for you and your family. An planned estate requires planning ahead of time. As Benjamin Franklin popularly once said, “a stitch in time saves nine,” so too does proper planning. Properly planning an estate carefully and fully accounts for all possible scenarios that may occur in life. As our future health and financial well-being remains uncertain, establishing a properly planned estate can become a certainty that allows us to rest easy, knowing our family and loved ones are protected with a carefully drafted plan in place. Well, everyone who an asset above the age of 18. In other words, an estate plan is for every husband, wife, mother, father, grandparent, business owner, professional, or anyone else who is in control or ownership of assets and wants to provide for their own financial and health well-being as well as for their family or other loved ones once they pass. While this seems overly broad, the best thing you can do for yourself and your family is to consult an estates attorney to put in place the basic estate planning instruments. As your economic standing (accumulation of assets and ownership of property accumulates) and family dynamics change (marriage, divorce, second-marriage, children, step-children, minor-children), more extensive planning will become necessary and important to protect and plan for you and your families future. Estate planning is a process. 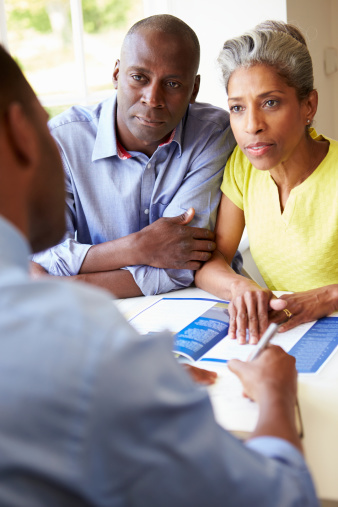 The estate planning process begins with our client’s goals and objective in mind. In order to reach our client’s goals and objective, a big-picture point-of-view is necessary to understand how we want our finances, medical/health instructions, and assets to be distributed and established when required. With our client’s goals and objectives in mind, our attorneys will assist each client in tailoring an effective plan. Throughout the planning process, our attorneys will explain the purpose and consequences of each estate planning mechanism utilized. Our attorneys understand that each client is unique. Each client may have a different family structure, amount of assets and finances, and goals. With that in mind, we pride ourselves on providing individualized estate planning advice and services for our clients to best effectuate their goals and intent. To schedule a consultation with one of our estate planning attorneys, please call our office (856) 845 – 0011 or email us.